Tikal or Tik'al, according to the modern Maya spelling, is the biggest archaeological site and ancient urban centers of pre-Columbian Maya civilization. It is located in the Petén region in the present territory of Guatemala, part of the Tikal National Park which was declared a World Heritage Site by UNESCO in 1979. Yaxhá is a Classic Maya site, located between the lagoons of Sacnab and Yaxhá, near the Topoxté, the post classic site in Petén, Guatemala. The Yaxhá-Nakum-Naranjo circle is considered the "best kept secret of the Maya World", it covers a total area of 37.160 ha and is part of the Reserve Maya Biosphere. To the west is the Tikal National Park, and north is the Biological Corridor Tikal-Mirador-Rio Azul. 8:00am: Maya World Tours agent will be waiting for you to drive to Yaxha which will take 1 hour approximately. Our representative will be waiting for you at the lobby of hotel to transfer to Tikal. 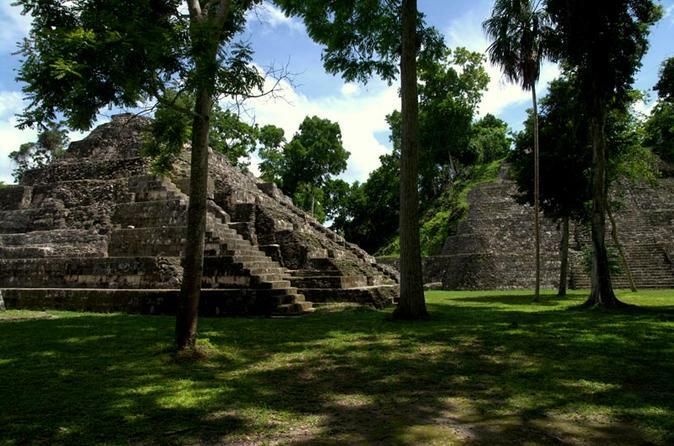 Our adventure begins by history reminder given to you by your guide besides the model of Tikal, then we will visit some places such as: Complejo Q, La Acrópolis Central, La Acrópolis Sur, La Gran Plaza, el Templo IV and el Complejo el Mundo Perdido. 1pm: Lunch in a restaurant in the middle of the jungle. 3pm: Transfer to hotel in Flores, to the airport or bus terminal.